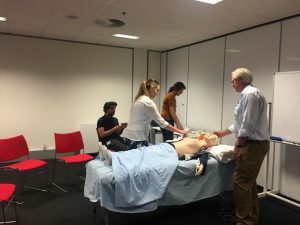 General Practice Training Tasmania is a centre for Advanced Life Support courses jointly accredited by the Australian Resuscitation Council (ARC) and the Resuscitation Council (UK). These internationally accredited courses have been developed to standardise the teaching of cardiac arrest and resuscitation management. A one-day course aimed at providing the candidate with the skills and knowledge to manage the patient in the immediate period of deterioration and or cardiac arrest. ALS1 is ideal for those in healthcare with limited or infrequent exposure to crisis events needing advanced life support training. This is a two-day (or modular) course with the focus on developing advanced skills in managing deteriorating patient and cardiac arrest. The course is designed for healthcare professionals with who would be expected to apply those skills taught as part of their clinical duties, or to teach them on a regular basis. Course cost is AUD$1500 (inc GST). Course cost is AUD$750 (inc GST). GPTT GP registrars and GP supervisors (RACGP or ACRRM accredited) can register for either ALS1 or ALS2 at no charge. The ARC credentials all its instructors delivering the advanced life support programs. ARC Instructors follow a prescribed development pathway to ensure the maintenance of high standards. All Instructors on the ARC Courses have undergone training and development in order to be registered by the ARC as an Instructor as set down in the course regulations. Candidates on the courses are derived from the medical, nursing, paramedical and allied healthcare professions to teach best available evidence based approach. 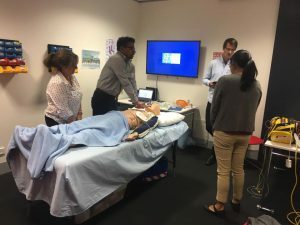 ARC Courses provide the opportunity for interprofessional education to promote the knowledge, skills, attributes and attitudes in order to work together in an effective collaborative fashion. If the notification is received more than six weeks prior to the course commencement date, GPTT will refund the fees paid in full. If the notification is received less than six weeks prior to the course commencement date, the fees paid will not be refunded but may be allocated to a future course. Prior skills and competence in CPR is an essential prerequisite to attending the ALS2 course. 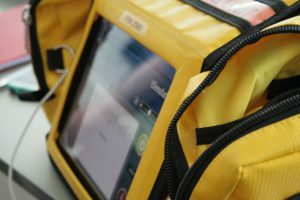 While the course covers advanced resuscitation skills, it is also designed to develop leadership and team skills in managing such emergencies. It is not essential to complete the ALS1 prior to the ALS2. However the ALS2 does have a higher level of expected knowledge and recent clinical exposure to critical/crisis events at the commencement of the course. Candidates are sent a course manual at least two weeks prior to the course to commence preparation for the face-to-face component. Candidates are required to complete a pre-course multiple choice question paper to guide preparation. Assessment is ongoing throughout the course. The ALS2 course is intensive and candidates are sent the ALS2 manual one month prior to the course. Candidates are required to complete a pre-course multiple choice question paper to guide preparation. Candidates are also required to complete a in – course multiple choice question paper & a simulation scenario as team leader as part of the assessment requirements.